• A climbing party of three is the minimum, unless adequate prearranged support is available. 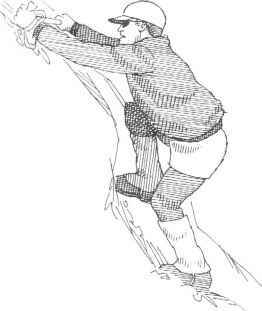 On glaciers, a minimum of two rope teams is recommended. • Rope up on all exposed places and for all glacier travel. Anchor all belays. • Keep the party together, and obey the leader or majority rule. • Never climb beyond your ability and knowledge. • Never let judgment be overruled by desire when choosing the route or deciding whether to turn back. 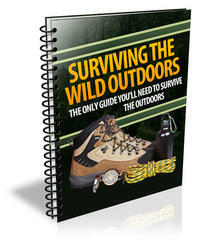 • Carry the necessary clothing, food, and equipment at all times. • Leave the trip schedule with a responsible person. • Follow the precepts of sound mountaineering as set forth in textbooks of recognized merit. • Behave at all times in a manner that reflects favorably upon mountaineering. This code is by no means a step-by-step formula for reaching summits, but rather a guideline to safe and sane mountaineering. Climbers sometimes question the need for such standards for a sport in which much of the appeal lies in the absence of formal rules. But many serious accidents could have been avoided or their effects minimized if these simple principles had been followed. This climbing code is built on the premise that mountaineers want strong chances of safety and success, even in risk-filled or doubtful situations, and that they want safeguards in case they have misjudged those chances. Experienced mountaineers often modify the code in practice, taking an independent course that combines an understanding of risk with the skill to help control it. The code is recommended especially for beginners, who have not yet developed the judgment that comes from years of experience. If we learn to climb safely and skillfully, body and spirit in tune with the wilderness, we will be able to accept the lifetime invitation that John Muir extended to us so many years ago. "Climb the mountains," he told us, "and get their good tidings. Nature's peace will flow into you as sunshine flows into trees. The winds will blow their own freshness into you and the storms their energy, while cares will drop off like autumn leaves."